Tigardcarpet.com is the website for Portland Flooring & Carpet in home of Tigard’s sales and installation service. Portland Flooring & Carpet & Vinyl in Home of Tigard is a locally-owned floor covering store established in 1995. 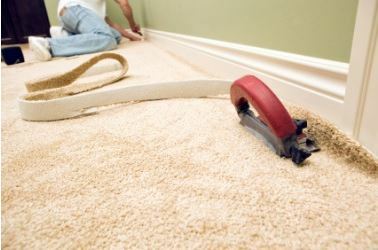 Portland Flooring & Carpet of Tigard has a helpful sales staff skilled in estimating, as well as experienced installers. We service the entire greater Portland /Vancouver area. We offer a wide selection of carpet, ceramic tile, porcelain tile, granite, marble, travertine, slate, hardwood, and laminate flooring products. We offer both sales and guaranteed installation of all the products we sell. Portland Flooring & Carpet of Tigard has low overhead costs because we do virtually no advertising; rather our marketing plan is based entirely on earning referrals from our satisfied customers. This low overhead allows us to provide the highest quality flooring materials and installation services to you at the lowest possible prices. When Portland Flooring first opened its doors over 18 years ago, we were known for our slogan: “Have your carpet installed this week by Tigard’s low-price leader!” Today, we’re proud to continue to live up to this promise. Call (503) 388-6070 now to speak with a helpful salesperson or click on the contact us form to arrange a free onsite estimate today.